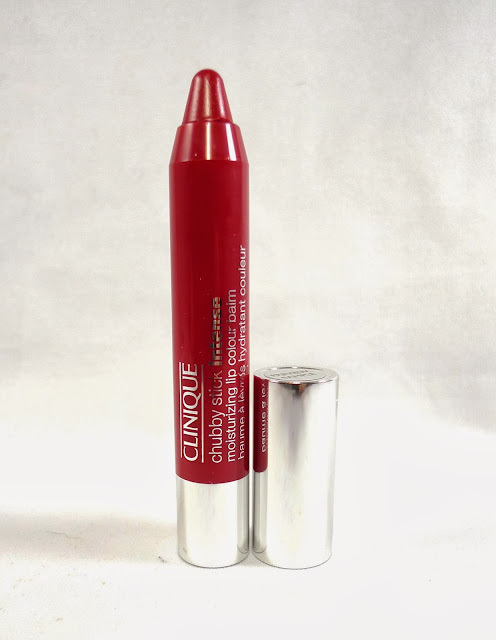 Here's a review on Clinique Chubby Stick Intense in Mightiest Maraschino. Clinique Chubby Stick Intense: Hey! I'm INTENSE! Me: No way. You're kidding me. You're a lip balm. Clinique: Oh yeah? Try me, sistah. Chubby Stick Intense pretty much has the same ingredients of its older sister (Jojoba Oil, Shea Butter, and Mango Seed Butter), but the difference is the former is overdosed with pigmentation. It comes in 8 shades. Admittedly, I didn't expect that its pigmentation would be THIS good because I've had a couple of the same product (others even came from premium brands) and they were just so-so in this department. The first time I've used Chubby Stick, I'm already a believer! Texture is very emollient (literally like Shea Butter) and feels super soft, smooth, and nice, and it just banishes dry areas almost instantly. Finish is almost comparable to a Satin lipstick. Maybe some of you would contend and say that pigmentation is just okay, but for a lip balm, it is superbly pigmented already. It has this yummy sweet smell. My minor issue is, the tip of the actual product is a lil' too wide and big for me to line my lips properly-I'd always have to clean up the corners of my lips after application. Mightiest Maraschino is a cherry red shade with a hint of pink-It's a summery and laid- back kind of red. It's super rich yet such a breeze to wear, and it also has some line- concealing effect. Staying power is so-so since finish is emollient: It stays for around 2 hours if untouched and fades and bleeds for a little after a meal and few sips of coffee, albeit gradually. It transfers heavily too since it doesn't really set onto the lips and has a slippery finish. Also, if used consistently, it really helps alleviate dryness. I used this product in Sydney's 12-degree temperature and found out that it's very good for cold, dry conditions where traditional lipstick would just feel even more drying and regular lip balm won't suffice. I reckon it's good for everyone, generally, because it's such a soothing, protective product that takes care of our lips continuously as we go about our busy, daily lives. Please visit CLINIQUE PHILIPPINES on Facebook for more information about this product. Woah. That is intense for a lip balm. I love the shade on you! Whoa! lipbalm yan? hehe. Nice pigmentation. worth the price, to add that clinique products are hypoallergenic. 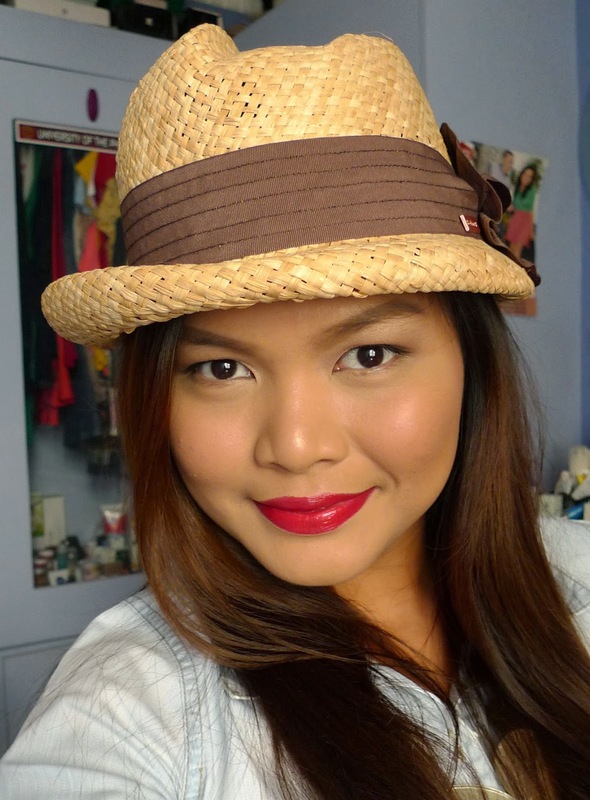 Would want to check the other shades as well :) Red would really not go well with me especially a pink undertone one. Couldnt use it at work without my co-engineers checking out my lipcolor in a meeting from time to time.. need to catch their attention for what I am saying and not for what I am wearing..lol.. I fell inlove with the color, too good to be true na this is just alip balm. Since its very expensive, How i wish they improve the staying power so you can get what you pay for. Looks so good, and it's a classic red too! 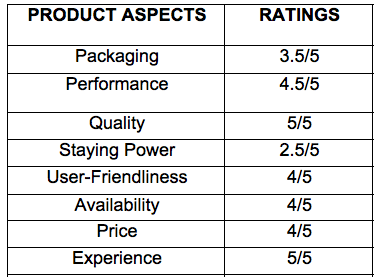 I think for a lip product of this quality the price is worth it. i have tried their other shade when clinique offers a free makeover on facebook. As what u've said, i agree! it instantly alleviates dryness. it was really good esp. for people like me who has a very dry lips. Leilani: I guess staying power will never be good on moist lip products like this one, but I think it's still worth it because the moisturizing effect is the bomb! Ravene: Yup, the hypoallergenic part is what makes it a winner as well.